Material Main material: A216 WCB,WCC; A217 WC6,WC9,C5,C12,C12A,CA15;A351 CF8,CF8M,CF3,CF3M,CF8C,CN3MN,CK3MCUN,CN7M; A352 LCB,LCC;A494 CW-6MC,CU5MCuC,M35-1; A890 4A(CD3MN),5A(CE3MN),6A(CD3MWCuN)；ASME B 148 C95800,C95500, etc. Application fields Suitable for petroleum, chemical, metallurgical, electric power, construction, thermal, water supply and drainage, water treatment industries, etc. Other remarks 2 It is repair and maintenance friendly, and can be used again by simply removing and cleaning the filter screen. Other remarks 3 Different filter screen meshes are available. Body Material:WPB A106-B A53 B WPL6 TP304 TP316 TP316L. TEE strainers intended for service similar to temporary conical strainers but with their own element housing. 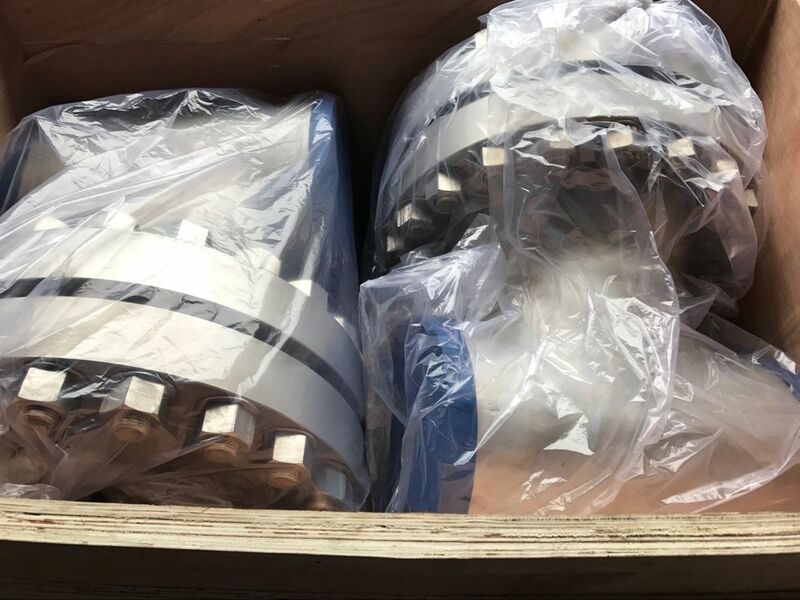 Specifically designed for location into a pipe work system that cannot be split to extract the screen after commissioning is complete, or where the strainer is to be left installed as an additional permanent safeguard. Units may be flanged or welded into the line and the screen is extracted through the branch opening. 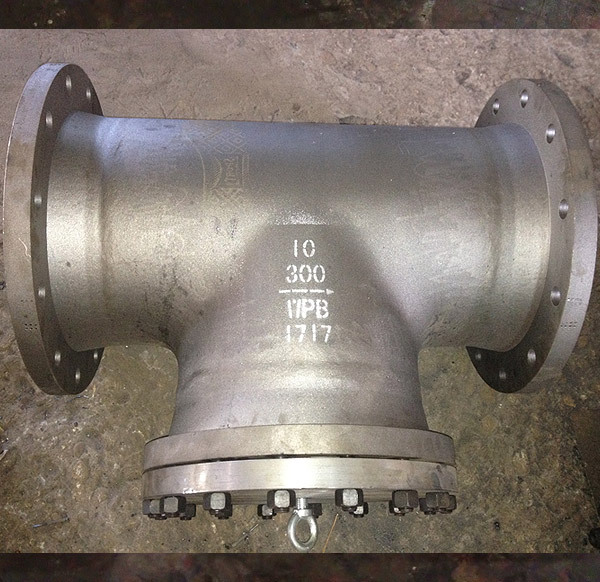 Each unit is provided with a flanged cover as standard. Davit arm assembly and quick opening closures available on demand. Materials: The T-type Strainer can be manufactured in any commercially available weldable material from ANSI 150# rating up to ANSI 2500#. Screen: Stainless steel as standard, or special alloy as requested. manufacture and supply tee strainers that will meet all your requirements. The product supplied will be mechanically sound, which meet the design criteria and process performance. Being a multitude of applications, the tee strainer has to be custom designed to meet the operating requirements.